Aruna Prashna, also known as, Surya Namaskaram is considered as most significant one among all the Veda Mantras for worshiping the Surya Bhagwan (Sun God in Hinduism). The entire Aruna Prashna mantras are found in the first prasna of Taittiriya Aranyakam of Yajur Veda. This is called Surya Namaskara Prasnam. In this Surya Namaskara Prasna, there are 32 Anuvaakams (chapters). 130 Panchaasath (paragraphs) can be found in this total 30 Anuvaakams. 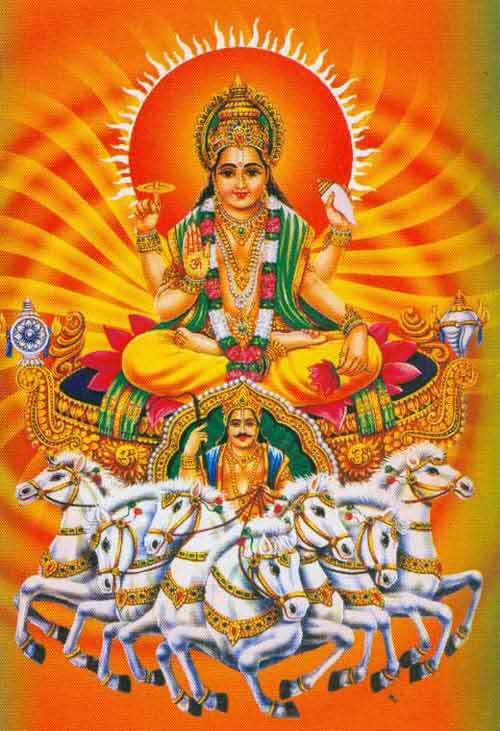 When the Japam is performed, it is the sampradaya, to offer one sashtanaga namaskaram, facing east (Surya Bhagwan), at the end of every panchaathi (paragraph) or alternatively at the conclusion of each anuvaakam depending upon one's health condition. The last anuvaakam ends with the description of one vratam called 'samvatsara vratam' and also proclaims that one who does this vratam becomes a punyatma. Generally this japam will be followed by and concluded with Navagraha Mantras. When is Aruna Prashna Performed? Though this japam can be arranged and performed on any day it is preferable to do it on Sundays in the morning hours. It may take around two and half hours in total to complete this japam that includes purvanga and uttharanga pujas. Aruna Prasna Mantra is chanted to achieve prosperity, health, medha shakthi and all round success. This japam, if arranged with at least 8 Vedic Scholars, is one of immense significance and has great value. It is certain to create positive vibrations - both internally and externally. Even listening to these mantras is considered a great boon for health and all round success. The benefits that accrue from this surya namaskara japam are many - the most important of which is health and prosperity. Author - If you have doubts regarding the above topic you can contact find the author, Sarma Sastrigal, at Google Plus.